14 year-old Carl lives in Loyalty Island, a small fisher's village in Washington. His father, as mostly all men in town, works on the Gaunt fleet and spends more time on the water than at home with his family. 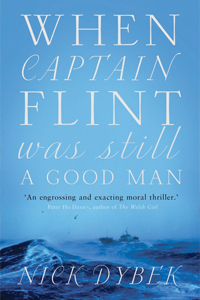 When John Gaunt passes away and his son Richard inherits the company, the town's people are suddenly reliant on a young man who seems to have no interest in keeping the family legacy going and may even sell the fleet, putting all their jobs at risk. Carl experiences first hand how far the villagers are willing to go to save their livelihoods. The novel is beautifully written but focuses more on the prose than on establishing a storyline, which is an at least equally important aspect of creating a successful read. In fact, it is not until the midway mark that the plot is revealed and it becomes engaging from a reader's perspective. Unnecessary flicking between past and present also added to the slowness of the first half. The premise is certainly an interesting one and when I did get to the part of the story that was more action-driven I was on the edge of my seat. Unfortunately this only lasted for a handful of chapters before the story started to drag again and I lost complete interest in what was going to happen to the main protagonist. Add to that poor characterisation (the dialogue given to the two teenage leads often made them seem adults yet other times they came across as small children) and lack of direction for the majority of the story and the execution ultimately failed what could have been an intriguing and spine-chilling novel.